I know, I know, the New England portion of my audience doesn't like it when I talk about Duluth Trading Company. 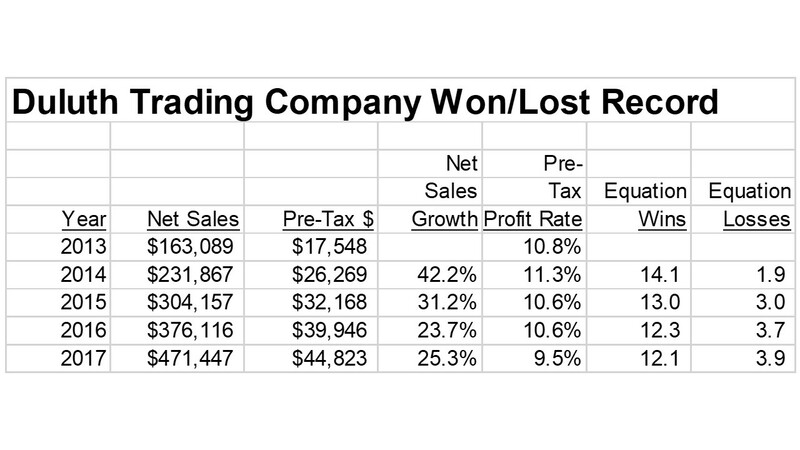 Why do I talk about Duluth Trading Company? Here's their won-lost record over the past four years. They're as good as the New England Patriots. 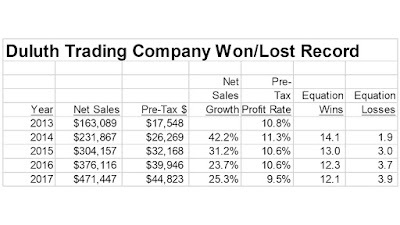 That's why I talk about Duluth Trading Company. Sales have nearly tripled in just four years ... a compound 30% annual growth rate. But can you see trouble brewing on the horizon? The rate of performance gains is decelerating. So maybe in 2-3 years you'll be able to point to an 8-8 Duluth Trading Company season and say "see, they stink".